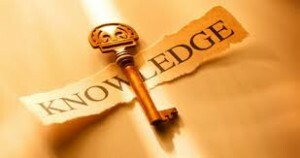 In business – like many other areas of life – knowledge is power. The more data you have about your business, the more informed decisions you will make. And with better decisions come better results and increased profits. You see, if you don’t know what you’re selling, when you’re selling it and how much of it you’re selling you’re kind of in the dark about some things. If you don’t know what you’ve got, or who’s working and when, you’re basically running your business blind folded. But how do you get those blinders off? How do you get the data you need? What can you do to have that information right at your fingertips? Using a point of sale system, you can effectively track almost every aspect of your business. You’ll be able to insure every item is sold for the correct price by simply selecting a preset button on the touch screen. At any point of the day you’ll be able to tell how many units of a particular item have sold and how much profit was made on each one. You’ll be able to see who has clocked in and out, what items they’ve sold or what discounts they given. From the reports you’ll know which items have higher margins and therefore what to promote and stock up on. Just you, having everything at your fingertips, making the best possible business decisions with the most complete information available. It’s always exciting for me to hear from customers that really embrace the technology I provide and that experience a boost in their profits from it. Our customer count has grown 10%, our turnaround time for customers is much quicker, and our ordering mistakes have disappeared. You see, it’s as simple as eliminating errors between servers and the kitchen. It’s as liberating as knowing your end-of-day reports are just a few keystrokes away. It’s as bottom-line as making sure your customers are happy. If you would like to know more about the benefits a point of sale system could bring to your business give me a call at 1-888-999-1343. After all, knowledge really is power!